Did you know? Paultons offer special rates for OFSTED registered pre-school & nursery groups of 12 or more paying children. 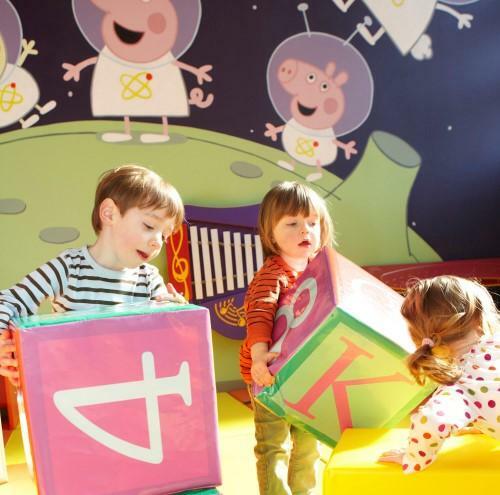 The prices are available for pre-school and nursery groups who book in advance and we can offer free staff places, invoicing options and advanced pre-printed tickets direct to your establishment. Tickets include entry to Paultons Park and Peppa Pig World with rides and attractions for children under 1 metre in height. Children under 1 metre in height and wheelchair dependents are permitted entry to the park FOC, but will not count towards the free adult allocation. SEN Groups and Special Schools - please email for pricing information. To book call 023 8081 4442. ****Winter – From Friday 9th November (Mondays & Fridays only) Some ride closures occur.